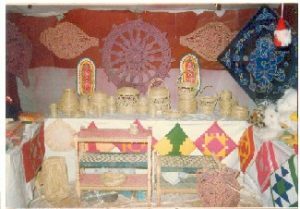 The handicrafts in the district of Mayurbhanj (Odisha) were in a manner acknowledged as an important part of rich cultural heritage of this region. 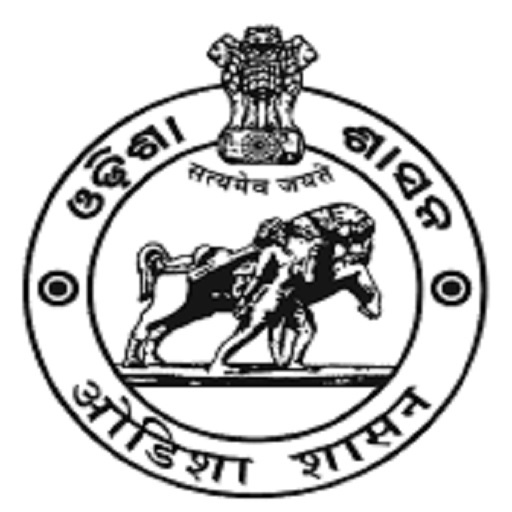 Handicrafts of Mayurbhanj are available in several materials and forms namely stone carving, stone wares, Dhokra, Brass & Bell Metal wares, Artistic Mats, Wooden painted items, lacquered toys, Terracotta, Sabai-Grass product, Cane & Bamboo products, Musical Instruments, Costume Jewellery, Folk paintings, Tassar Textiles. 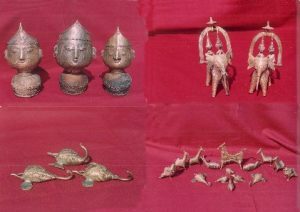 The dhokras are adivasis and like their counterparts in Dhenkanal and Keonjhar district and neighboring state of West Bengal they used to make metal casting items purely for house-hold use. They are a nomadic tribe and roaming about from place to place to find their living by marketing their products. A few years ago the primitive vigour and character of the Dhokra metal ware was discovered and there has since been a rising demand for these products. The major raw materials are natural wax from beehives fine wood/ charcoal and bell-metal etc., which are locally available. At present about 300 artisan are working in the trade at different pockets of the district. Sabai grass is grown in a wide part of Mayurbhanj district which is mainly used for making Sabai Rope. Sabai Ropes are mostly sold out side the state for use in weaving Charpai (Cots) and in paper manufacturing concerns. Sabai rope is also used in making Sofa sets, Chairs, Tea Poy etc. The main body frames of the Chairs and sofas are made in Bamboo and wood and Sabai rope is woven and coiled over the frame to give a finishing shape, which attains exceptional excellence. The civil Jail of Baripada is pioneer in introducing such Sofa and some other items namely Car mats, Screens, Carpets etc. In recent years utility articles like Dining mat; Fruit Basket/Tray; Flower vess etc. are produced by using jute twine along with Sabai rope with intervention of National Council of Jute Development. With grow-ing demand for Sabai grass furniture and sabai products, one training centres have been opened at Baripada by Director Handicraft and Cottage industry Odisha to train local boys and girls particularly from Scheduled Caste and Scheduled Tribe groups.